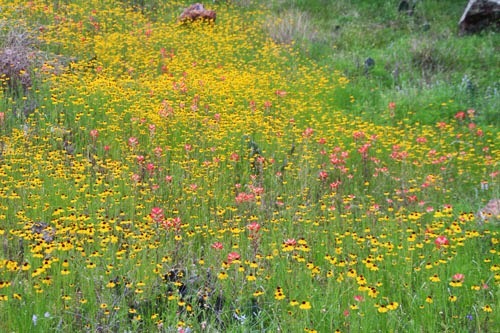 Here are additional wildflower pictures taken earlier in April as we drove west from Austin on SH 71, hitting spots around Lakeway, Marble Falls, Park Road 4 towards Inks Lake, Llano, and back on SH 71. 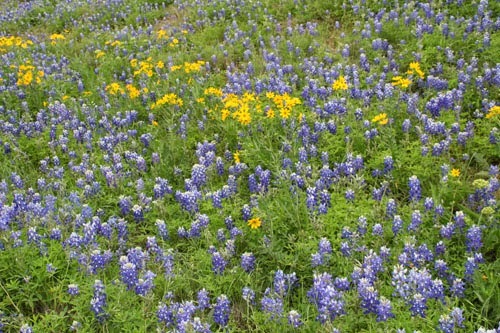 If you haven't been out to see the colorful displays, go soon. 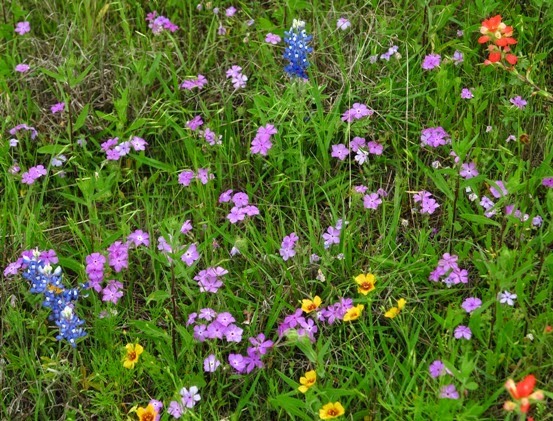 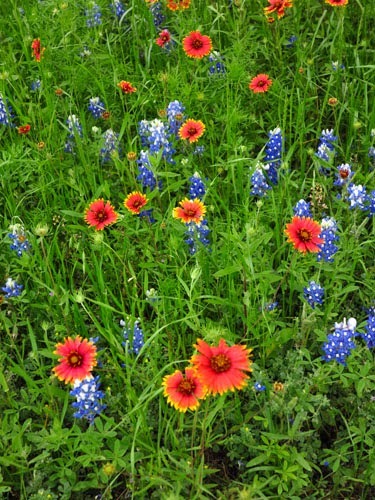 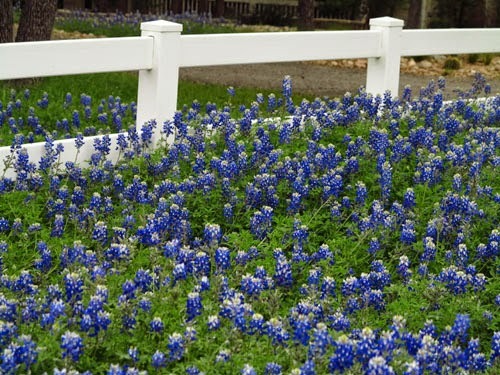 In some central Texas locations the flowers have already hit their peak, but there are still many gorgeous roadsides and fields to fill your heart and soul with the beauty of spring.